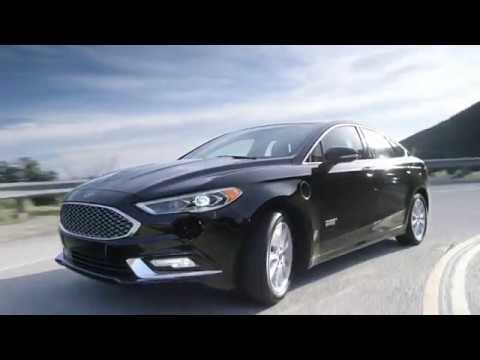 The Ford Fusion Hybrid is a mid-size hybrid sedan that's available with or without a plug. The regular Fusion Hybrid, which doesn't plug in and offers maybe a mile of all-electric driving at lower speeds, and the Fusion Energi, which plugs in to recharge a larger battery pack that gives roughly 20 miles of all-electric driving, add to the Fusion's green credentials and boosting its overall fuel efficiency. 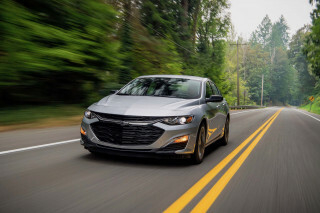 Rivals for the Fusion Hybrid include hybrid versions of the Honda Accord and the Toyota Camry, both entirely redesigned for 2018; the Hyundai Sonata and Kia Optima, which both now also come in plug-in hybrid form; the Chevrolet Malibu Hybrid, and the Chevrolet Volt plug-in hybrid. There were no changes to the hybrid Fusion pair for 2018. In 2017, the cars received slightly updated frontal styling, upgrades to the interior, and a host of advanced electronic safety-system options. Today's Fusion Hybrid emerged in the 2013 model year. 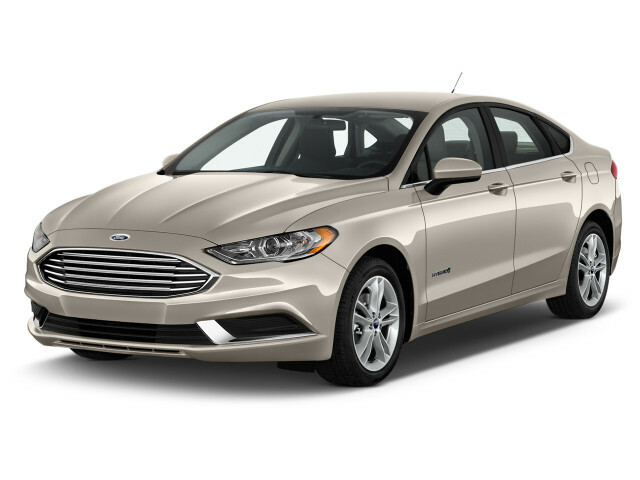 It and its Energi companion are by far the most fuel-efficient in the Fusion sedan range. The cars share powertrains with the discontinued compact C-Max Hybrid and C-Max Energi hatchbacks, which were sold only as hybrids—unlike the Fusion lineup, whose five different drivetrain options include three gas-only versions. The two hybrid Fusions look almost identical to the gas models, with just badging and minor trim differences, as well as the extra charge port ahead of the driver's door on the Energi model. They provide better gas mileage ratings for budget-conscious shoppers who want to save at the pump. The hybrids are more expensive, too. Base hybrid models start at about $2,000 more than their gas counterparts, but come standard with many of the features that are optional on gas-powered Fusions. The two hybrid models of the sleek, fastback Fusion are both fitted with a smaller 2.0-liter gasoline engine and a slightly revised version of Ford's two-motor hybrid system, which together produce 188 horsepower. A new lithium-ion battery pack—smaller and lighter than the previous nickel-metal-hydride pack used from 2010 to 2012—takes up less room in the trunk. This powertrain is shared with the Ford C-Max Hybrid compact hybrid hatchback, the company's first dedicated hybrid (there's no gasoline-only version) and its first direct competitor for the Toyota Prius. While the 2013 and 2014 Ford Fusion Hybrid models were originally rated at 47 mpg combined (47 mpg city, 47 highway) in June 2014 Ford lowered the ratings to 42 mpg combined (44 mpg city, 41 highway) after discovering errors in test measurements and calculations for aerodynamic drag. Ford agreed with the federal government to lower the ratings and send a check for the increased gasoline costs to all owners of 2013 and 2014 Fusion Hybrids, along with those of five other Ford and Lincoln models whose ratings were reduced at the same time. The changes followed reports by numerous outlets, led by Consumer Reports, that failed to achieve anything like the 47-mpg combined number. While it lauded the new Fusion Hybrid, the consumer magazine and most other reviews rarely got above 41 mpg for the Fusion Hybrid, some seeing as low as 36 mpg. The discrepancy is especially jarring because the first generation of Fusion Hybrids were widely acknowledged to deliver on their combined 39-mpg rating. 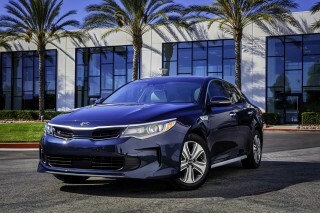 The lower ratings still beat those for the Toyota Camry Hybrid (41 or 40 mpg, depending on model), and the Hyundai Sonata Hybrid (38 or 37 mpg, again depending on model). Otherwise, the new Ford Fusion lineup received high marks from our reviewers for its "handsome, even stunning looks," generous interior space, and its taut roadholding. Dislikes included only average rear-seat head room and the profusion of shiny plastic trim in the cabin. The Fusion Energi shares the engine and hybrid system of the hybrid Fusion, but it has a larger lithium-ion battery pack in the trunk, along with a charging port on the fender. Its major difference is that you can plug it into the wall to recharge it, which will give you up to 20 miles of all-electric range, versus the Hybrid's one mile or so, after which the Fusion Energi reverts to being a conventional hybrid. Only minor changes have been made through the 2016 model year. A refresh to the Fusion Hybrids and the entire Fusion lineup came for the 2017 model year. Changes focused on the exterior styling, interior layout, and technology offerings; and the number of standard and optional active-safety items increased. That first-generation Ford Fusion Hybrid launched in 2010, and was a well-engineered, quiet, responsive hybrid sedan that looked "normal" and yet delivered remarkably high gas-mileage numbers. 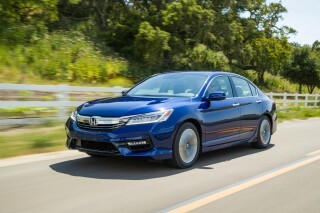 It also earned excellent safety ratings such as the IIHS's Top Safety Pick. That first Fusion Hybrid four-door sedan was Ford's second hybrid model, following the now-departed Escape Hybrid. The first-generation Fusion Hybrid hit the market in spring 2009 as a 2010 model—based on the updated 2010 version of the Fusion that had originally launched way back in 2005. The 2010-2012 Ford Fusion Hybrid used a 2.5-liter engine paired to Ford's two-motor hybrid system, with a total overall peak power of 191 hp and a combined EPA gas-mileage rating of 41 mpg city, 46 highway—better than the Camry Hybrid's at the time, which was 34 mpg combined. 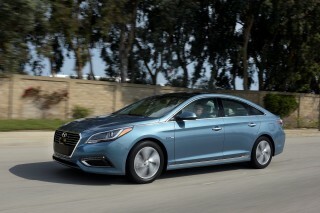 The Fusion Hybrid as well as that of the Nissan Altima Hybrid, also 34 mpg (that model was discontinued). It was sold as a well equipped model, containing many of the luxury features fitted to the high-end Fusion SEL model. 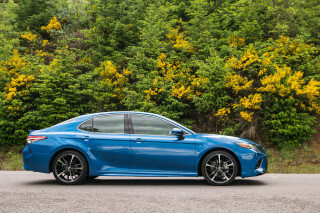 On the road, it was quiet, responsive, and delivered 40 mpg or better in real-world usage—leading to rave reviews for this first full hybrid U.S. sedan. Incredibly quiet and comfortablely spacy interior and sleek outside with great mpg! This sedan has all the details of Toyota Camry with added quietness and better mileage!